St Johns West Bend – What a Week! What an unforgettable week! Thank you all for starting it off by honoring me with your words of congratulations, your love and support, and especially for making sure that the children were the focus of my celebration. They have, and always will be, the heart of my ministry. I am so blessed by the St. John’s Family. 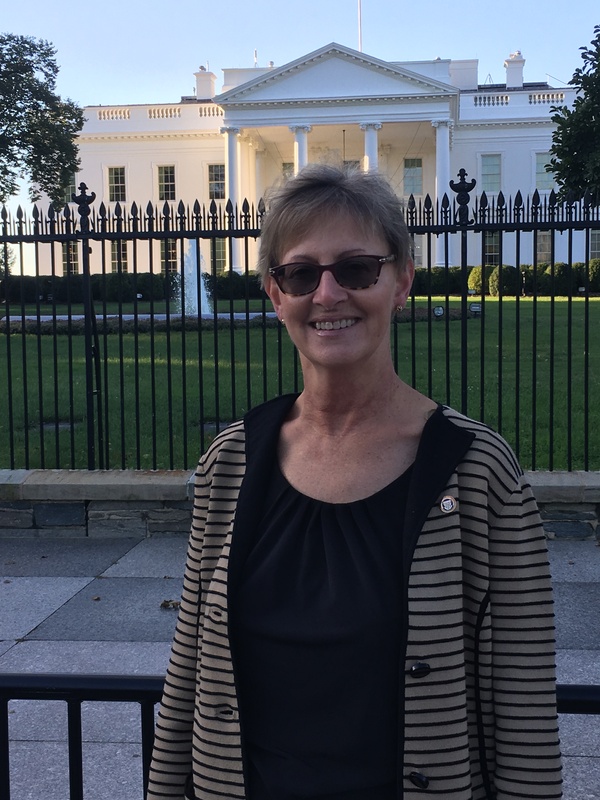 The whirlwind week continued as Ron and I arrived in D.C. on Wednesday, October 10 and joined other Distinguished Principals and their spouses for a night time trolley tour of the Washington Monuments. From there, the activities were non-stop. While it was tremendous to be in our nation’s capital, the true blessing was meeting and collaborating with principals from around the country and the world. Each of the 62 honorees gave a speech sharing about their journey and best practices on Thursday, which allowed me to discover more about each of them and their schools. What became very clear is that no matter the type of school or its location, all of the principals deeply love children and will do whatever it takes to make sure they are successful. We all have servant hearts, and frankly, we are all living out the vocation given to us from God. As I shared in my speech, each of us serves as the hands, feet, and mouth of Jesus. All in all, we were treated like royalty throughout the three days as we enjoyed a reception at the U.S. Postal Service Museum, a tour of the White House, and a fabulous dinner and dance, known as the Principal’s Prom. It was a “Cinderella” moment, and it would not have been possible without the grace of God, the tremendous staff of St. John’s, the support of my husband, the generosity of our congregation, and the CHILDREN. To God be the Glory.